A comparative study of the idea of The Incarnation as embodied in Sri Ramakrishna and Jesus Christ. The author regards himself as a Christian, yet has found treasures within the teachings of Hinduism. The doctrine of the incarnation, of the divine word becoming flesh, is the real core of Christianity. But the concept is not not as unique as some would think. For Hinduism, incarnation is considered natural and a part of life. 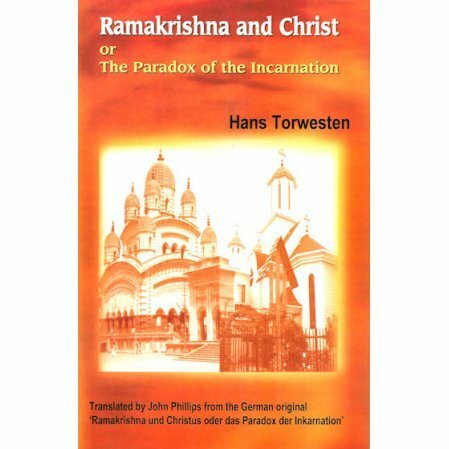 This book deals both with the things that bring Christianity and Hinduism together and those that separate them.The author says, "The subject of the incarnation is a continual preoccupation with me, because I see in Christ an incarnation of God and because I believe that a study of Ramakrishna throws a little more light on this mystery and therby on Christ as well. " "The doctrine of the incarnation of the divine word becoming flesh is the real core of Christian teaching. The Christian teaching, however,is not so completely unique. To the Hindu, there is an almost too willing acceptance of the concept as natural. For what natural things are seldom unique. - they repeat themselves, just as nature does."